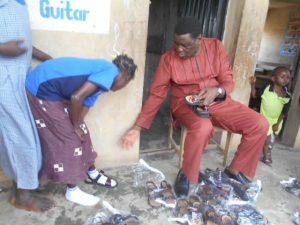 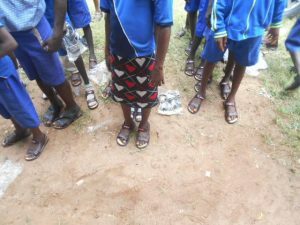 On the 4th of October, 2016, Rev Akin Feyisetan donated 204pairs of school sandals and 1,200copies of beautiful exercise books to the children of Imini school. 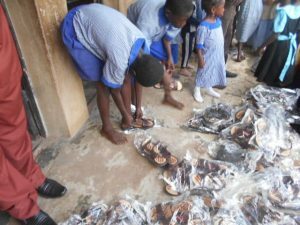 We went to the school on this day unannounced and distributed the books and sandals to the children that were present. 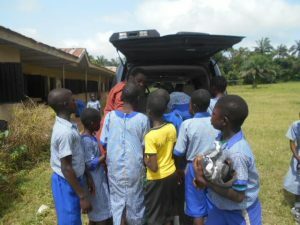 This is to encourage the childrento be regular in school and pass a message to those of them whose parents are fond of taking them to farm when they should be in school. 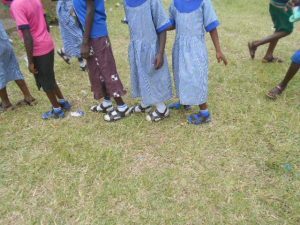 The children were very excited on seeing the shoes and were even more excited when they saw the beautiful notebooks with the schools’ name written on them. 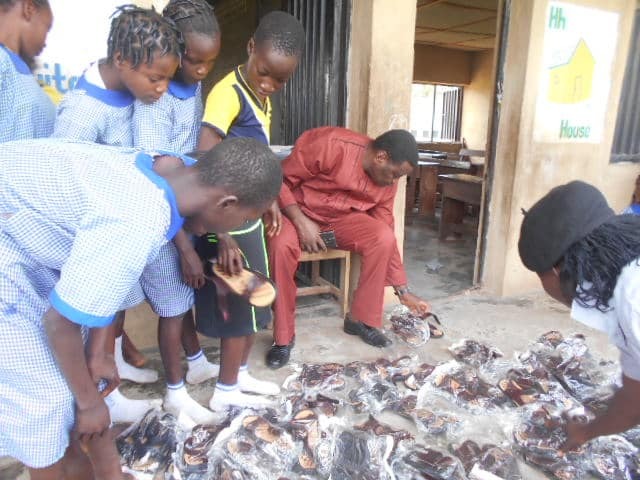 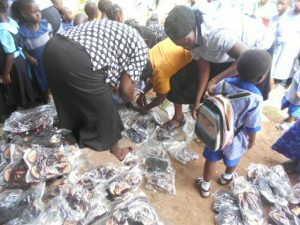 Pupils from baby class to Nursery 3 were given 3 each, pupils from Primary 1 to 3 were given 4 each, pupils from primary 4 to 5 were given 6 each while the teachers were given 10 each. 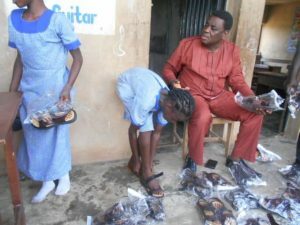 We really appreciate God in the life of Rev Akin Feyisetan who God has been using greatly in putting smiles on the faces of these children and pray that God will continue to prosper him.